My kids and my etsy shop have kept me pretty busy this week. Not much time for quilting. It's been a good break. 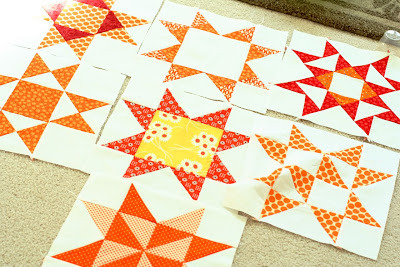 It's better to wish I was quilting than to wish I wasn't. 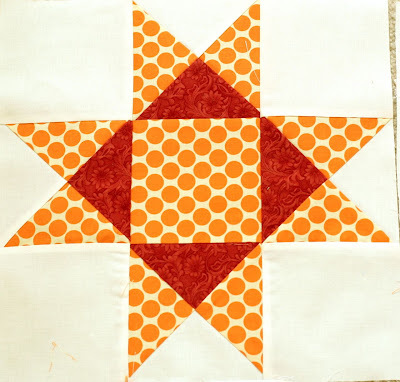 I did find time to finish week 7's quilt block.Now I've really got to get started on my setting blocks. I think I have settled on a blue. I might make it scrappy, but we'll see. Ok...this is simply beautiful...love the color choices! your stars are so fantastic! I think the blue will really pop in the setting blocks. I'm excited to see your progress! 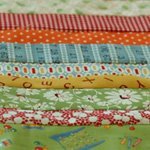 I love the colors you are using in your quilt along.